Sayyid Qutb was a prominent Islamist philospher and author. 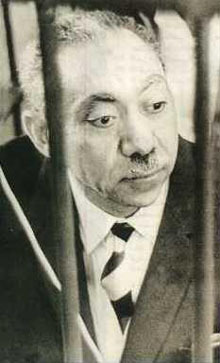 A member of the Muslim Brotherhood, Qutb was arrested by Egyptian police in August of 1965 and charged with plotting to overthrow the Government of Gamal Abdel-Nasser. One year later a trial was held by a kangaroo court, resulting in his hanging on 29th August 1966.